Trilogy Vital Moisturising Cream is a pure and immediate nourishment and hydration for all skin types, especially those that are dry or damaged. Rosehip oil, Marula oil oils and pure extraction botanicals replenish skin, helping repair and rebuild healthy skin. It delivers instant moisture and deeply hydrating botanical extracts in a wonderfully, light, fast absorbing day cream. 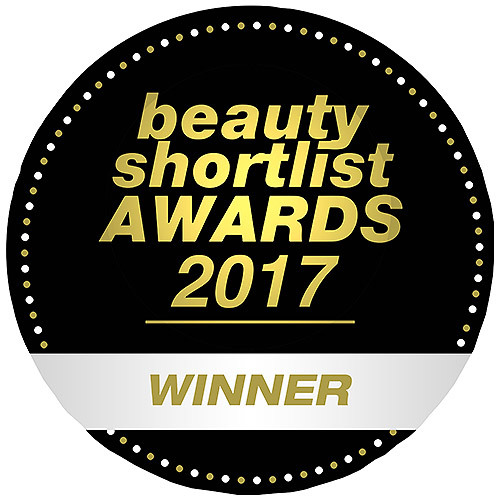 It contains 12 of nature`s most effective active ingredients and has been described by media as The Rolls Royce of natural moisturisers. 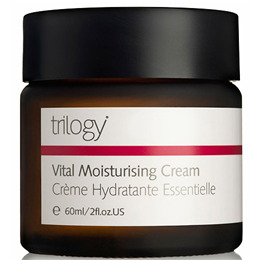 For skin that needs extra care, Trilogy Vital Moisturising Cream is the answer for hydration, repair and protection. Enriched with powerful natural antioxidants and essential fatty acids from rosehip oil and evening primrose oil and further enhanced with the soothing and rejuvenating properties of jojoba, almond and carrot oils and aloe vera extract. It can help to repair damaged skin cells and helps preserve skin elasticity and suppleness. 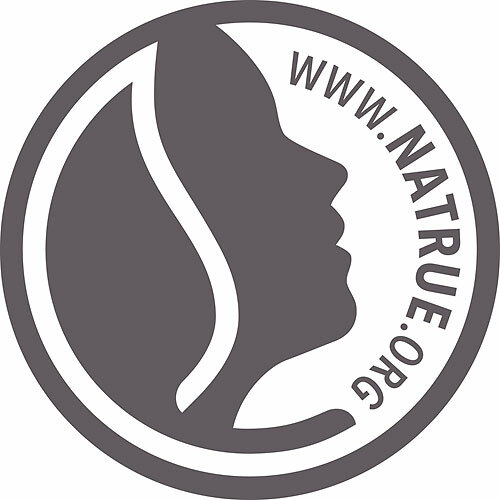 It is safe to use on the most delicate and sensitive skin and ideal to wear under make up. Aqua (water), Glycerin (vegetable), Sweet almond oil, Glyceryl stearate, Evening primrose oil, Jojoba oil, Cetearyl wheat straw glycosides (and) cetearyl alcohol, Rosapene™, Marula oil, Solanum Lycopersicum (Tomato) Seed Oil (and) Caprylic/capric Triglyceride (and) Vaccinium Macrocarpon (Cranberry) Seed Oil (and) Helianthus Annuus Seed Oil (and) Tocopherol Lycopene, Euterpe Oleracea (Acai) Fruit Oil (and) Tocopherol, Avena Sativa (Oat) Kernal Extract, Sclerocayra Birrea (Marula) Seed Oil, Aloe Barbadensis (Aloe Vera) Leaf Extract, Vitamin E, Carrot oil, Chamomile flower extract, Bitter orange flower oil, Rosemary leaf extract, Sodium stearoyl glutamate, Citric acid, Dehydroacetic acid (and) benzyl alcohol, Parfum, Citral, Geraniol, Citronellol, Limonene, Linalool. Apply to cleansed face, neck and decolletage morning and/or night. Below are reviews of Trilogy Vital Moisturising Cream - 60ml by bodykind customers. If you have tried this product we'd love to hear what you think so please leave a review. Very nice cream! Trilogy never disappoints me!